“All of the houses in my village were destroyed in a snap,” says Analita Garcela, the captain of the upland village of Cambucao in Tabon Tabon, Leyte – one of the communities hardest hit by Typhoon Haiyan in 2013. CARE and local partner Assistance and Cooperation for Community Resilience and Development (ACCORD) have supported Cambucao through emergency food distributions, shelter repair assistance, financial support to restore livelihoods, and training on disaster risk reduction (DRR) and climate change adaptation. “We were taught how to apply the ‘Build back better’ techniques that definitely improved the quality and durability of our homes,” she adds. Everyone in my community participated, from the youngest to the oldest. They saw its relevance and importance and the people themselves wanted to be well-prepared for future disasters. The training helps community members identify resources at risk from climate hazards, analyse changes in seasonal activities, understand trends and changes over time, and develop livelihoods and coping strategies. 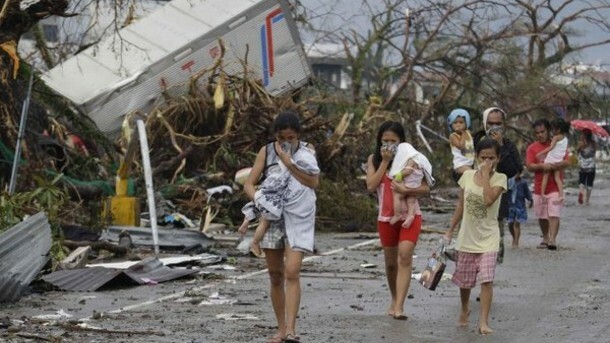 The community drill involved responding as a village to a Haiyan-like typhoon. Analita says: “Everyone joined the drill and they took their roles seriously. Even it was just a simulation, they acted like it was really happening. “They went to designated evacuation areas, they brought their important belongings with them, wore raincoats and boots, and even rescued those who needed help such as trapped older people. If the people know how to prepare, adapt and respond, it will lessen the damages and avoid cases of casualties. We thank CARE for addressing that concern. “I could say that my community is now disaster-resilient,” she concludes.